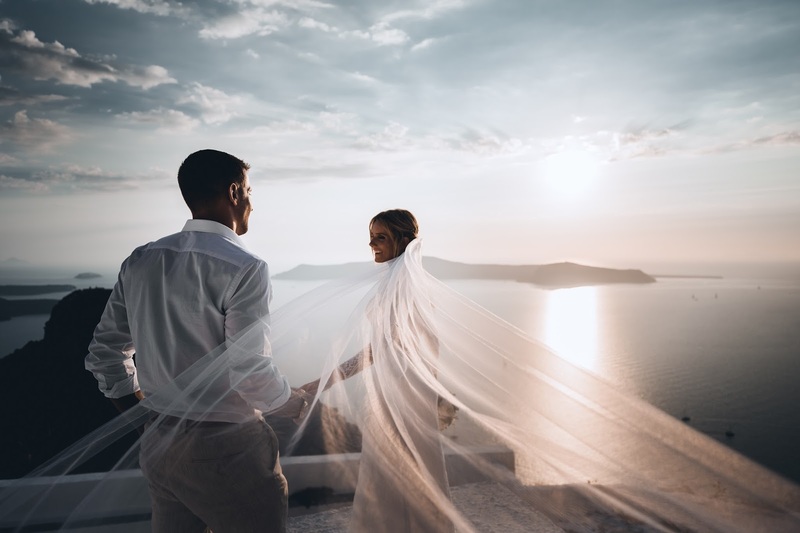 A blog and The Life In Between : Our summer wedding in Santorini, Greece. 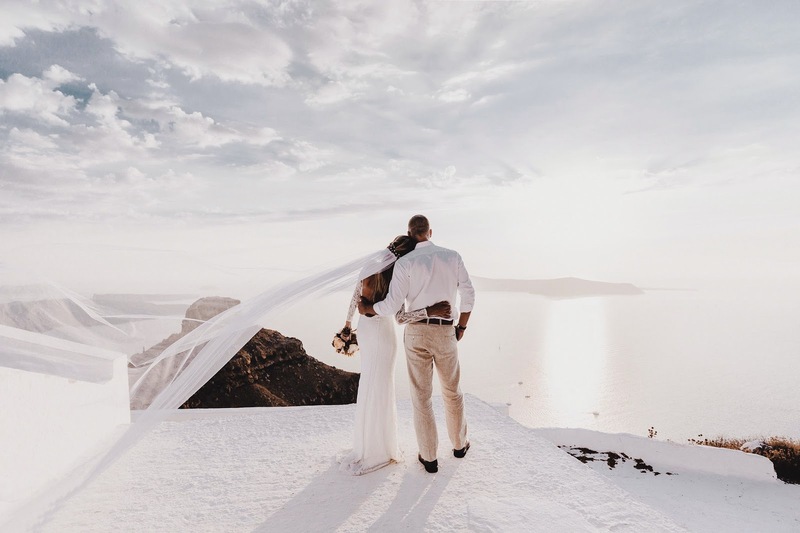 Our summer wedding in Santorini, Greece. The day my Pinterest board came to life! Literally. 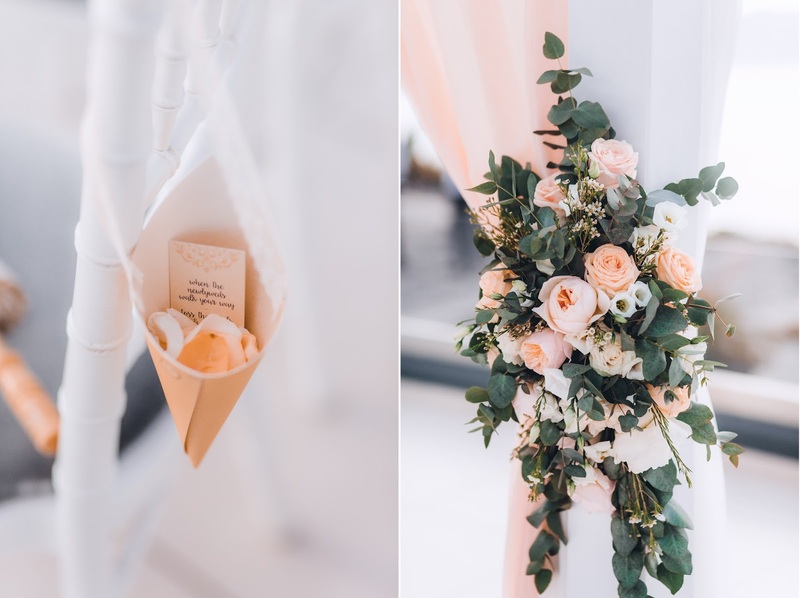 My interest in wedding industry started way before we got engaged, as the matter of fact I did an internship for a wedding planner years ago as I wanted to learn more about the business. 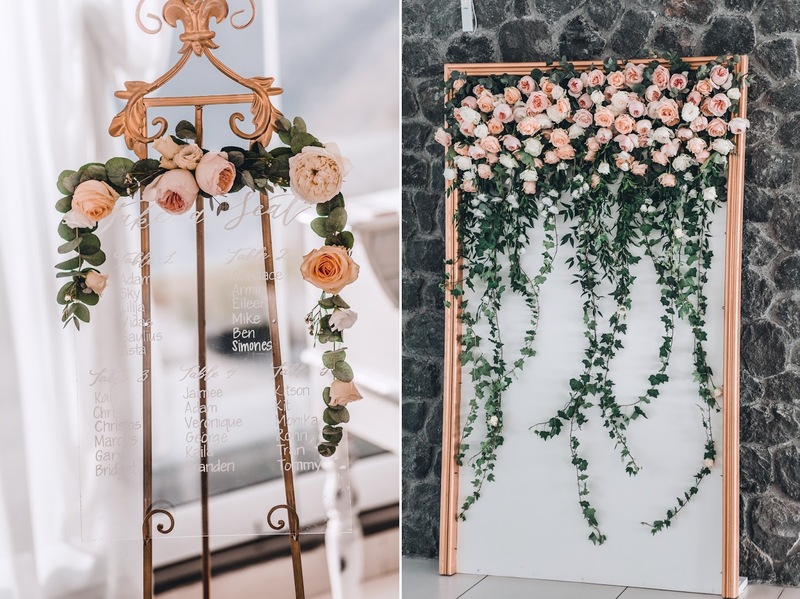 So you can only image for how many years I have been building my wedding board, it's been filled with some major inspo for when my big day came! When the big day was just around the corner it was time for my Pinterest board to come to life as well. With that being said I knew exactly what I wanted, the only problem was that I had to find a team that loves wedding, planning events and has the same attention to detail and has almost the same vision as me. 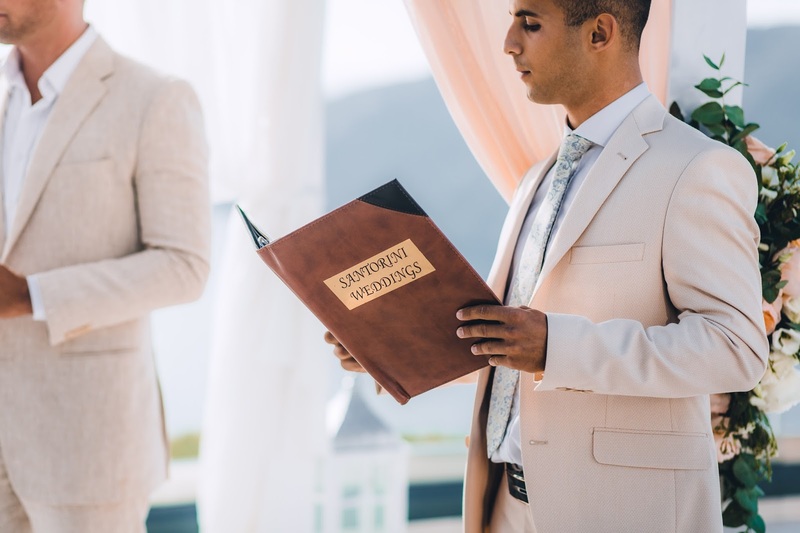 I was told it was going to be impossible to have a destination wedding and not have something go wrong - I was told to be prepared and just make the most out of it, so not going to lie as much as I was looking forward to our big day I knew things will go wrong, why? Because everyone told me so. Well, let me tell YOU, if nothing went wrong with my wedding you can also make sure nothing goes wrong with yours. 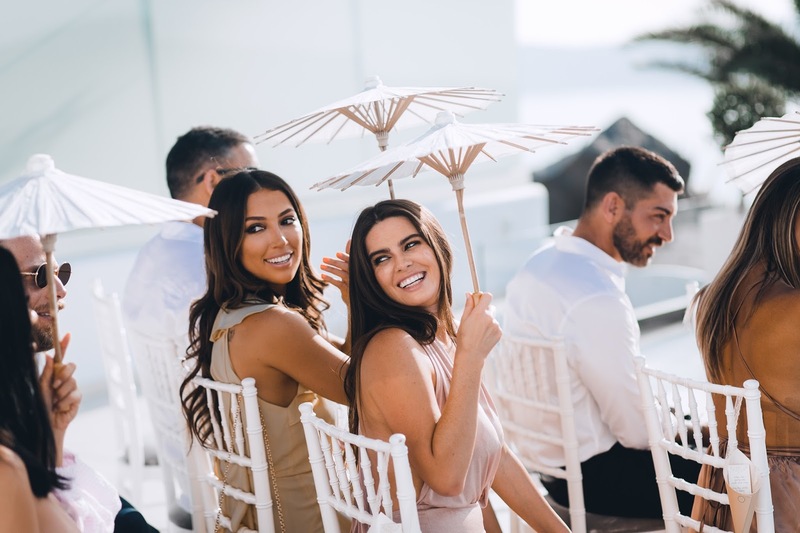 We didn't just plan the wedding, we have planned a getaway for entire group of 30 people, including a boat day, transfers, post-wedding brunch, day trips to town and wedding itself. 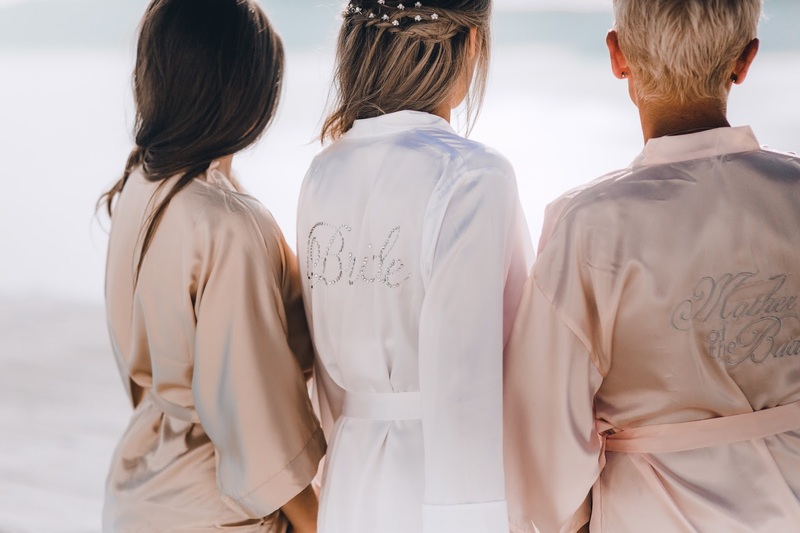 Having a team behind you is the most important part of your wedding. Finding a photographer that knows my style and would know what I love was probably the hardest part. Me being a blogger didn't make this situation any easier as I needed images to be that much better as I was going to share them online. I was beyond thankful and just that much more excited when I found a photographer that had a similar editing style and vision like me, it was refreshing to see a porfolio that had images who weren't just pretty, they also told stories. Organize. No matter how much time you think you'll have that day once the day comes it will seem like you're being rushed with everything - makeup, hair, photos etc. It's extremely important to nail down your absolute favorite images to take because unless you do a two hour photo shoot before your wedding you will not have enough time to take all the images. I picked out 30 images total, including my shoes + my dress hanging + me and my mom + me and friends + Adam's accessories. Share. If you keep the "secret" Pinterest board still a secret prior to your wedding, you will most likely forget to take some of the images. I shared the inspo with my photographers and Adam which helped for all to stay on track and on top of the schedule. Schedule. According to all I was supposed to start getting ready four hours before my wedding...pshh.. the schedule was quickly updated once it made it into my hands. I did not start getting ready until two hours before the wedding and left the last 40 mins to take all the photos I wanted and needed. Adam on the other side got ready at the same time as me (in a different place of couse), when photographer came she at first shot his photos and then came to me. I hope that this posts will help all of you future brides to be once you begin to plan your big day! I will also be sharing more on my wedding dress & more advice on destination wedding shortly. Wedding photographer: Yuliya Tsvetkova and Svetlana Ryajentseva (Editing by Tatyana Tsvetkova (). Tatyana has actually shot our engagement photo shoot in Greece as well! Thanks to Wedding Chicks for featuring our love story from beginning to the end. You can check out the latest one on HERE. 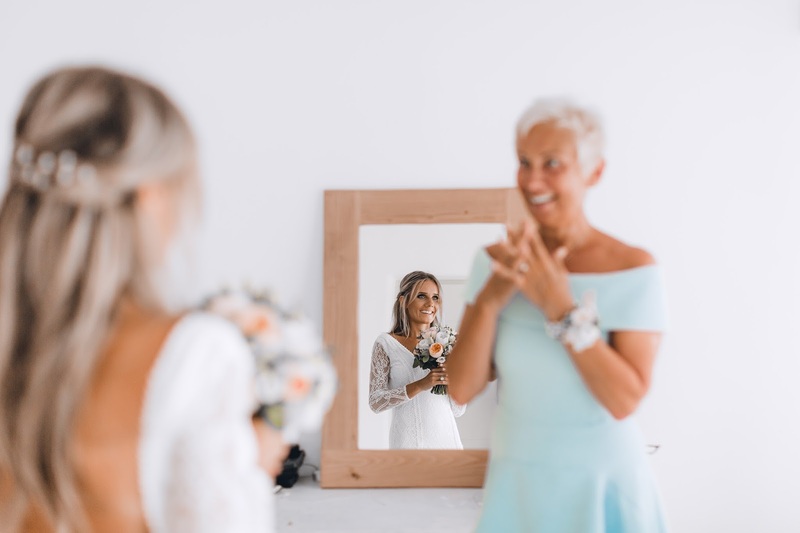 This special moment of my mom seeing my dress for the first time was everything! The mini flower wall is an absolute must at a wedding or any event you may have. It not only is a great decor but also fills up an empty space and can sure make a great photo booth background! Sort of wish I took this pretty book from this gentleman back home and turned into an album lol...but oh well..
My besties & many more that have traveled across the world to see us tie the knot. Austin roses were our (mine lol) choice of flowers as it was the closest looking flowers to peonies. 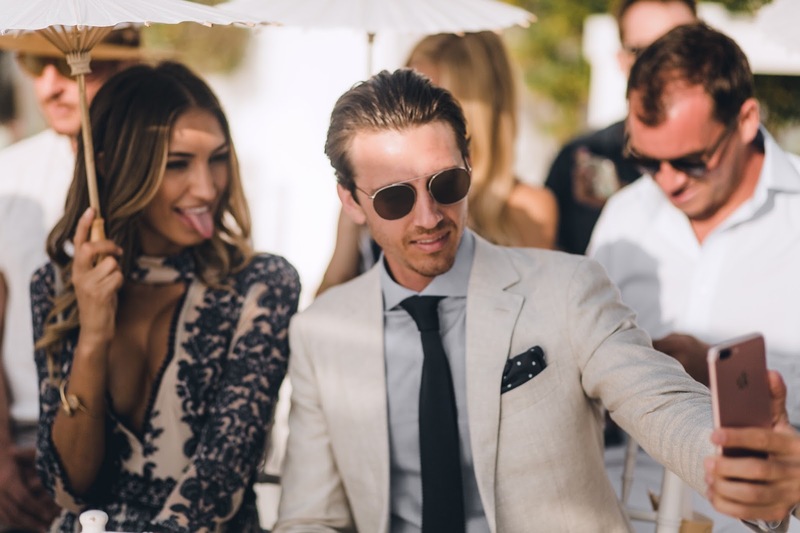 Love these candid shots of our guests! 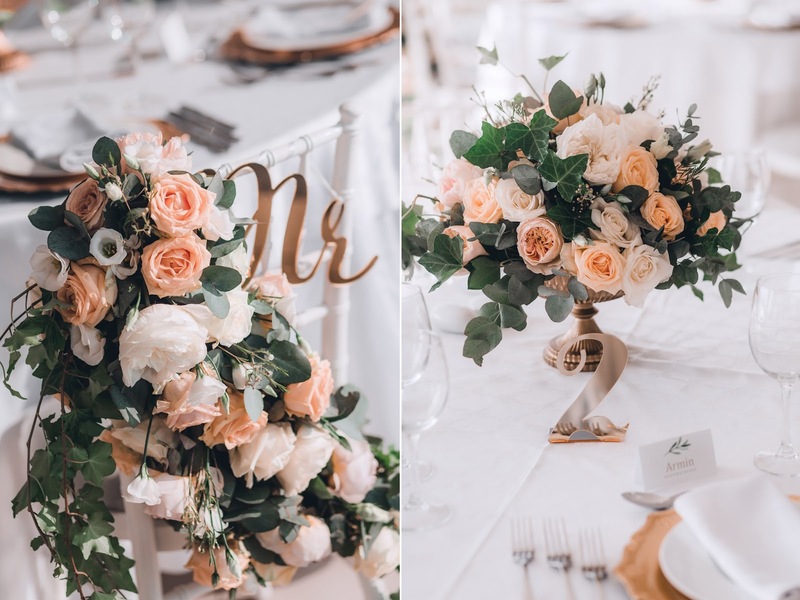 Florists did an amazing job with florals & i found these pretty table numbers on Etsy for under $5 each and brought them from US that ended up perfectly matching with MR & MRS signs they had. Sort of obsessed with the scenery of destination weddings, no matter where they're at in the globe. You can also check out our wedding video on HERE. This is a beautiful summer wedding and I am sure you had pretty good party. Last month, booked an elegant event space Chicago and arranged my cousin’s tea party by inviting all her friends. They really enjoyed very much at this party. Let's face it when it comes to your wedding there will be a whole heap of items that you can consider using to tick this box!